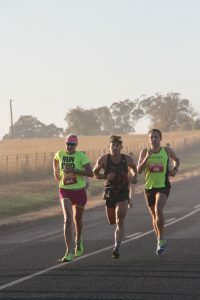 Join us at the 2019 Orange Running Festival and enjoy a wonderful weekend away in the renowned food and wine region of Orange in Central West NSW. The festival caters for all ages and abilities, from a 2km dash for kids to a marathon along a scenic, fast, undulating course in the cool climate of Orange. You’ll enjoy a welcoming country atmosphere while competing for one of largest cash prize pools in NSW as well as supporting our locally based charity partners. Come along and join us for a great weekend, we know you’ll enjoy the journey. New series to make the Central West the Distance Running Capital of Australia. © Orange Running Festival All rights reserved 2017.